The Confucius Classroom jointly operated by Lingnan Normal University and the Belarusian State University of Physical Education was presented the 2018 Advanced Confucius Classroom award. A Stamford International School Bandung delegation visited the Affiliated Middle School of Lingnan Normal University on Dec 4 as part of their study tour in China. Colorado State University (CSU) in the United States will work with Guangdong Ocean University (GOU) and Zhanjiang No 1 High School to cultivate more talent. 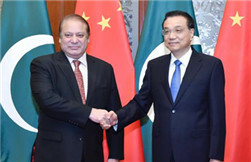 Zhanjiang-based Guangdong Ocean University took the spotlight at the 5th Pak-China Business Forum from March 19 to 22. 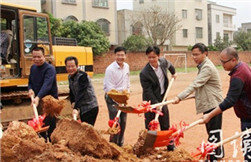 Wuchuan county started construction of a new campus for the county-based Xiangyang Primary School. 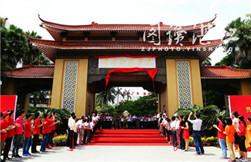 Zhanjiang was listed among China's top 100 cities with high quality universities, coming in at number 96. 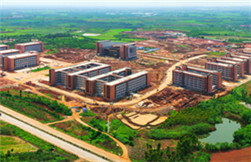 An aerial view of the first phase of the Zhanjiang vocational education base in Huguang town, Mazhang district, April 21. Zhanjiang in Guangdong province will send around 100 university students to Thailand for exchange study this year, said the city's education department on April 25.